Everclear is a rock band formed in Portland, Oregon in 1992 best known for their radio hits spanning more than a decade. For most of its existence, Everclear has consisted of Art Alexakis (vocals & guitar), Craig Montoya (bass guitar & vocals), and Greg Eklund (drums, percussion & vocals). Eklund replaced original drummer Scott Cuthbert in 1994. Montoya and Eklund departed the band in 2003, but Alexakis continued the band with Dave "Davey" French (guitar), Josh Crawley (keyboards), Sam Hudson (bass guitar), and Tommy Stewart (drums, percussion). 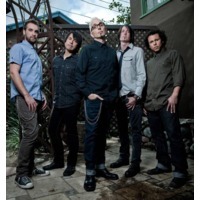 However all members except for Alexakis left the band in July 2009 to be replaced with a 3rd lineup of Everclear.